One of Thailand’s top interior design consultants August Design have now completed final the designs for Tulip Groups hotel Centara Grand Resort & Spa Jomtien, the five star hotel sits on the same site as Tulip’s world class condominium Centara Grand Residence (CGR). August were employed to work on the guest rooms, the club residents lounge and the Roof top sky restaurant and bar, and have delivered some fantastic results. An extremely satisfied Kobi Elbaz explained why Tulip had employed such a prestigious company. “August Design are one of Thailand’s most respected and well known interior design companies, they bring fresh and innovative idea’s to the table and they are a pleasure to work with, the entire is extremely focused and professional and this is what makes them so sought after, we are very happy with what they have they have come up with, the hotel is going to be stunning and really put Na Jomtien on the map as a prime tourist destination, combine this with the condominium and we really have a true world class project”. Residents at Centara Grand Residence will have the use of all the hotel services and facilities, in addition the condominium will have a whole host of facilities exclusive to residents and condominium owners. 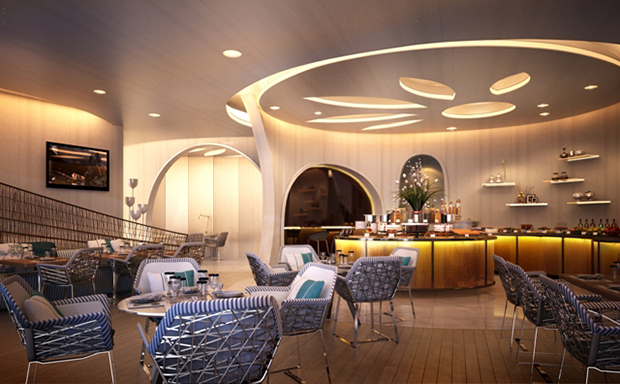 P49 Deesign have also been employed jointly with August to complete the concepts for all day dining, the ballroom and remaining common areas of the hotel which are also complete. Tulip confirm that construction of the project will commence in the next 2-3 months, once final EIA has been received.